The Enclave has proven to be Buick's breadwinner time and again. By curating a winning formula of luxury, utility, and elegance, it has set records for the Buick brand and helped it not only gain relevance in the United States, but a steady place in the global market as well. Now, Buick has introduced the 2018 Enclave Avenir, a new range-topper that ushers in comfort and exclusivity further than ever in the model's history. With the Enclave gaining new underpinnings, it's been redesigned almost completely. It now rides on the same fresh platform as the Chevrolet Traverse, dubbed the C1XX platform by General Motors. It sports a longer wheelbase of 120.9 inches, stretching it out slightly to provide more room in the interior. Overall, the Enclave measures 204.3 inches from tooth to tail, 69.9 inches tall, and 78.8 inches wide. Buick looks to treat the Avenir as GMC does the Denali trim. The American automaker looks to treat several other models to the Avenir moniker, developing them into more upscale selections for premium buyers. 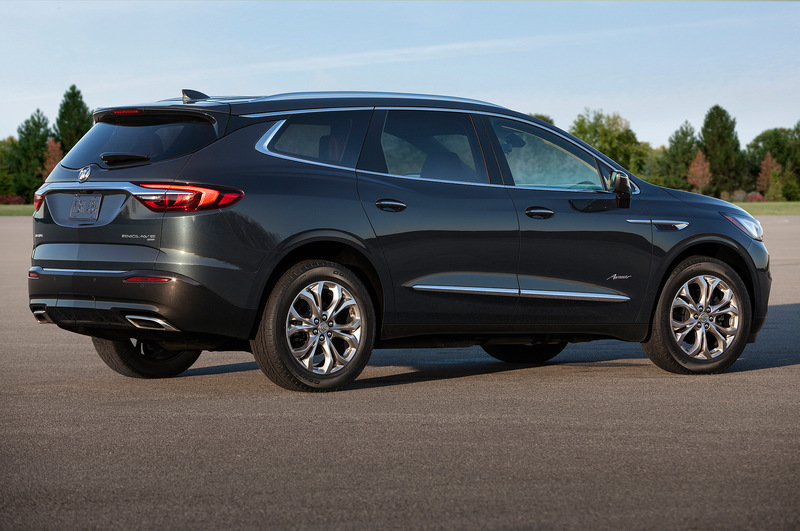 For 2018, the top-tier Enclave sports a more swept-back look that Buick claims to improve aerodynamics and fuel economy. Evonik Acrylite frontward lighting features more than 100 LED lights, illuminating the road with plenty of efficiency. The new luxury model will also sport special Avenir badging and 20" six-spoke wheels, further differentiating it from the rest of the range. The interior is, of course, the star. Every Enclave comes in a three row, seven seat configuration to fit plenty of passengers. It's luxuriously fitted with the choice of Avenir Chestnut and Ebony leather, giving the cabin a rich feel. With the Avenir emblem stitched into the headrest, you'll know the difference between it and lower-range Enclaves. The new Enclave has got plenty of tech to boot, too. A reconfigurable 8.0-inch display shows its face with navigation and the lot, a stylish bit of kit that should be easy to use with loads of accessibility. For added comfort, the Enclave offers tri-zone climate control as well. A built in 4G WiFi hotspot allows for easy access to the web for all occupants, making the Enclave Avenir an all-around player for busy owners. The new Enclave is powered by the same 3.6-liter V-6 engine that was in the previous generation, but now it's mated to a new nine-speed gearbox. That V-6 produces 302 hp and 260 lb-ft of torque, which is sent to either the front wheels in standard trim or all four wheels in the optional all-wheel drive trim. While pricing is yet to be announced, it's great to see Buick making exceptional-looking cars again. The brand's sleeper sedan may be returning with new equipment meant to make it quicker than ever. 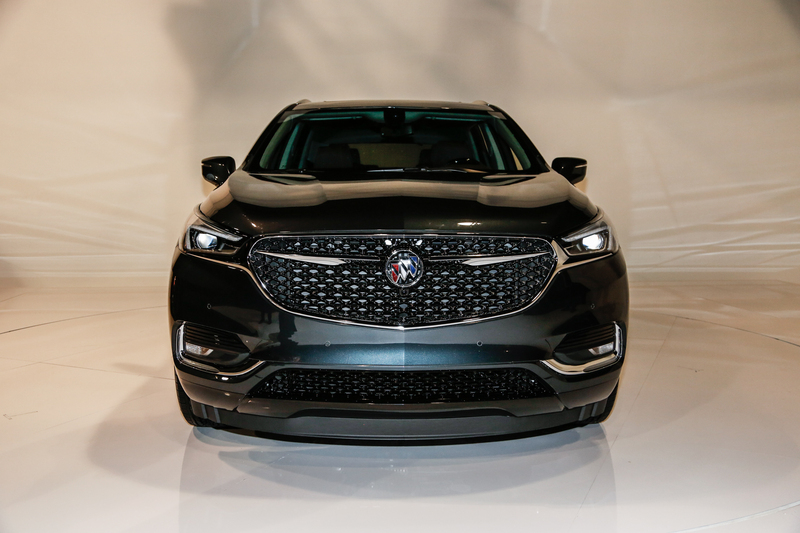 The recent sale of Opel won't affect the production of Buick's shared models—for now. The luxo-barge is more stylish and powerful than ever before. The model has been redesigned along with the rest of the brand's utility lineup.